Alexandra’s early orchestral experiences were with the Brighton Youth Orchestra, with whom she performed during their Diamond Jubilee year in concert at Glyndebourne Opera House and at the Brighton Dome with percussionist Evelyn Glennie. During her time at Huddersfield University she performed regularly with the orchestra, symphonic wind orchestra and new music ensemble, with whom she performed a concert as part of the Huddersfield Contemporary Music Festival subsequently broadcast on BBC Radio 3. She performed again for the festival in 2007 in an ensemble of 20 harpists, including Rhodri Davies and Eira Lynne Jones. 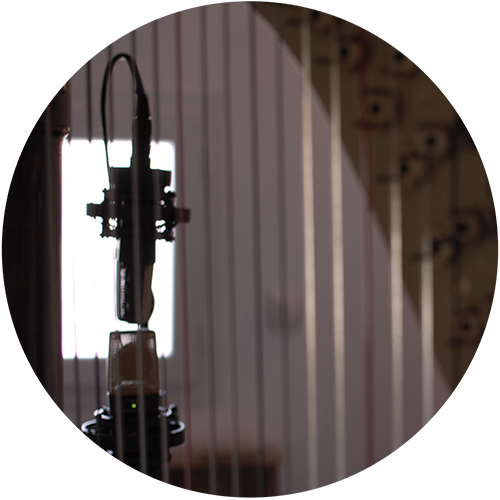 She performs regularly with local orchestras and choral societies as a freelance harpist. Television work includes providing background music for an episode of Channel 4’s Come Dine With Me, and an appearance as a featured entertainer on Channel 4’s Sunday Brunch. Hi Alex, Just a quick note to say thank you so much for coming on the show last week. You were great, and you made me look good for finding you, so it’s all very much appreciated! Hopefully we can find another excuse to get you on again at some point. Alexandra is available for session work, and can either travel to a studio of your choice, or record parts from her home studio. 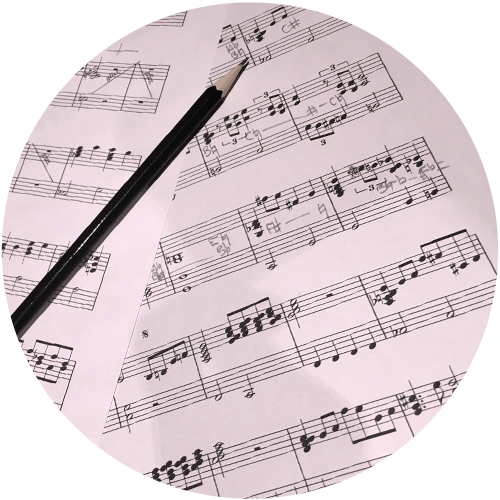 If you’re a composer and interested in writing music for harp but aren’t very familiar with the instrument, Alexandra can offer a consultation or arrange your work so it’s suitable for a harpist to play. We Two Kings is Alexandra’s harp and vocal duo with her brother Barnaby. They have performed their diverse repertoire at recitals, weddings, and festivals throughout the South East. Alexandra plays harp and sings in the electronic duo Cleff, whose music has been featured on Brighton radio station Radio Reverb as well as BBC Introducing, including a live performance for the show. Glissando is an exciting harp ensemble project involving some of the top harpists across Sussex. Their repertoire is stylistically diverse – well known folk tunes and popular classics alongside pieces by prominent composers for harp. 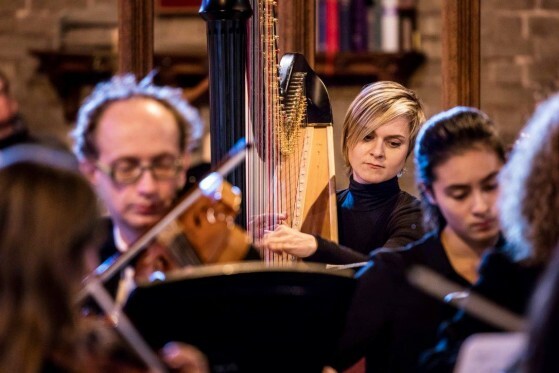 The ensemble features harpists from all walks of life, each with their own style, coming together to perform music which is both aurally and visually spectacular. Alexandra has worked with the electronic group Limbic System, a band which mix electronic beats with rock guitar and classical harp. Together they have performed at popular venues across London and Brighton.